Today I’ve selected the project, “Torn Birds,” to feature. This is a first grade project that really gets the kids’ attention. Special supplies, other than construction paper, for this project are feathers, google eyes, glue sticks and colored chalk. 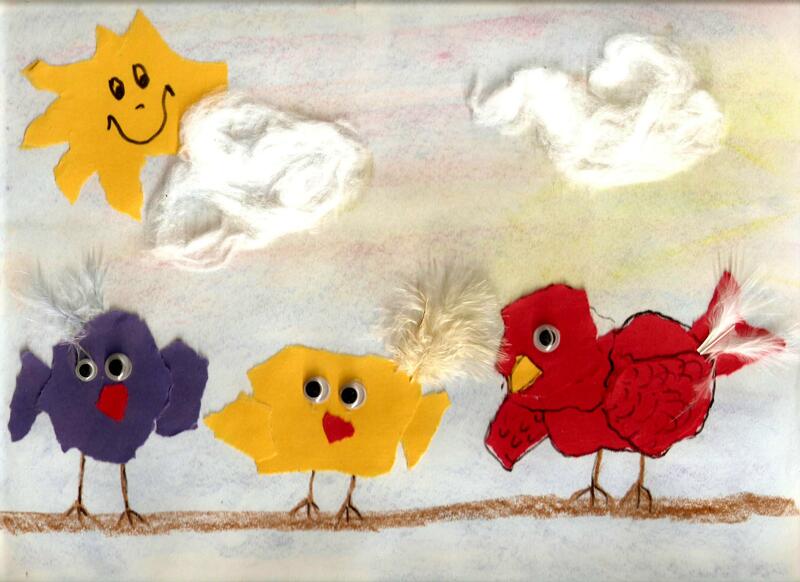 For directions for this project, “Torn Birds,” go to the 1st Grade Projects Gallery in the sidebar. This entry was posted in 1st Grade and tagged 1st grade, art projects for kids, bird art for kids, feather craft, feathers, first grade, paper crafts, torn birds. Bookmark the permalink.